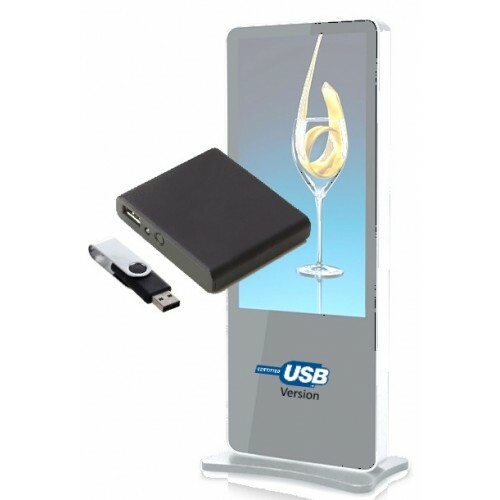 Designed to be a simple loop-back advertising player, the Plug and Play USB Looping Media Player offers a straightforward advertisement playback system at a competitive price. Based around a modified Android operating system, and installed with our proprietary modular video playback software you simply connect an HDMI cable (not included) to the player and your chosen screen, power up the player and it will automatically load your video advertisement from a connected USB stick. Building your advertisement video is a simple affair - you create it using any common video composition software such as Windows Movie Maker, iMovie, Sony Vegas, or Adobe Final Cut. If you are showing your video on a 9:16 (portrait) Aspect Ratio screen you can format it from Landscape mode in your video editor and you'll be good to go! Playback will continue until you either remove the USB stick, or until the system is powered down. If switched off and on it will reconnect by itself and begin to play your video file without resetting the file or further attention from a user. Adding files to the device couldn't be simpler. 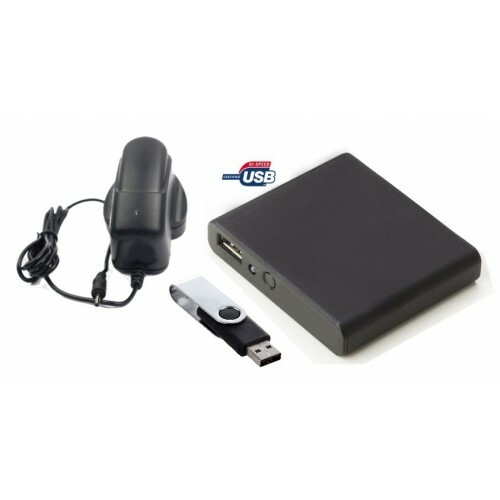 The system comes complete with a 1GB USB stick onto which you copy your advertisement video (as an .mp4 file). Plug the stick into the player, cycle the power, and sit back as it does the rest. Note - Does not rotate video for vertical 9:16 aspect ratio viewing. Works with video only - does not display individual .jpg image files.